Iron Man is one of many popular characters within the Marvel Universe. As Tony Stark, he is CEO of Stark Industries. This aids Tony’s crime fighting persona with advanced technology and weaponry. Tony has created suits of armor able to adapt to harsh environments such as space and deep-sea. 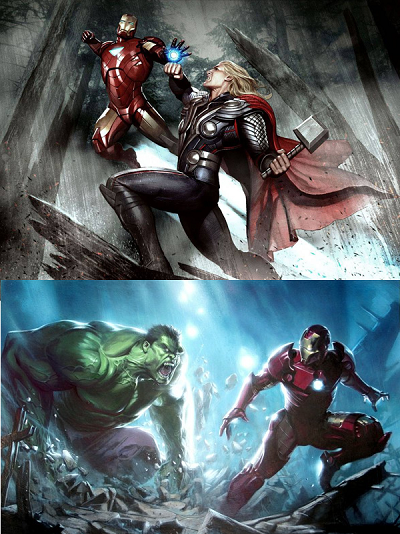 Tony has even created armors strong enough to battle The Hulk and Thor. With his technological and intellectual dominance, Iron Man is second in command within the Avengers. Tony Stark manages to maintain control over his creations to prevent any war and political conflicts. On the other hand, the armor would be of good uses as well. NASA for instance, could use the armors to replace the space suit. Modern day space suits impedes the progress of astronauts to certain degrees. For example, lack of head and body mobility along with limited life support and jet pack fuel. 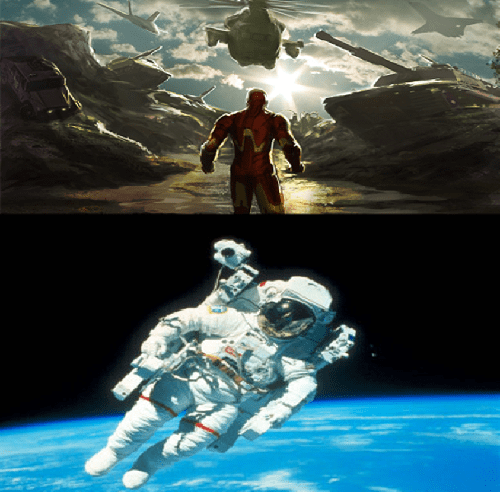 Iron Man has made its début from comic book to movie screen like many other films, giving fans an excellent insight on its evolution in imagery. 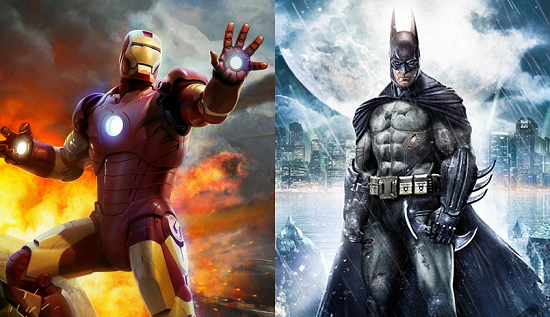 The Iron Man movies are a big success in the Marvel Universe, with Robert Downey Jr. as Tony Stark. Robert and Huge Jackman are two actors that has continuously played their characters throughout the years since their first films. 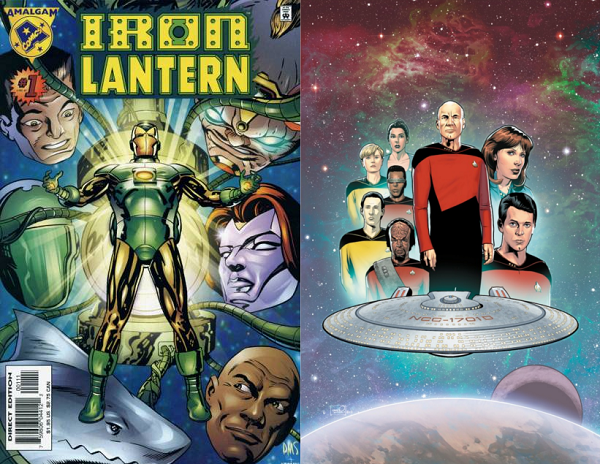 Do you think all actors should do the same, or do you believe change is sometimes a good thing in character development, as its done in the comics? 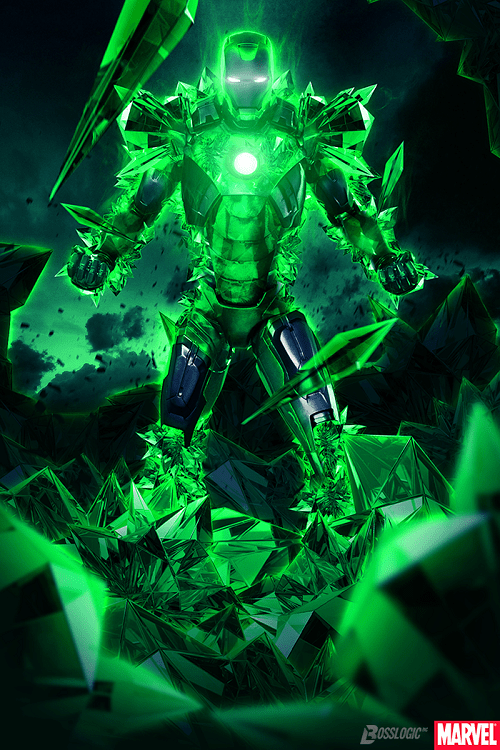 Comic Multiverse fan favorite artwork of Iron Man goes to DeviantART artist, codename: BossLogic. Excellent Work and crossover concept! Also follow Boss Logic at the website : http://bosslogicinc.com/.